…are doomed to repeat it. At least, such is the classic trope. We are warned to remember the mistakes of the past so we do not make them again in the future. Which is all well and good when it comes to a broad societal level. However, as a writer recently caught up in relearning world history, may I instead say that those who study history are blessed to repeat it. My education into world history (which currently involves the 180-someodd part The History of Rome podcast and the University of Houston Youtube course on the Crusades) has taught me things I didn’t know, reminded me of things I’d forgotten, and filled me in on details of events I thought I understood. Above all else, it’s given me story concepts. These largely fall into two broad categories, but I’m certain others will arrive. Prester John as included on 1588 Portuguese map of Africa. Reliving history. 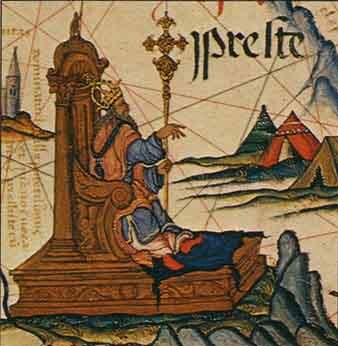 I first learned about Prester John during the Crash Course World History episode on 15th Century maritime exploration. For those not aware of the story, he is a mythic Christian king cut off from Christendom (by which people typically meant European Catholicism) but still keeping the faith. One day he would rejoin with the devout and help kick the asses of any non-believers in the way. At times his kingdom was meant to be in India, at times in Africa, always just beyond where Europeans were comfortable with the geography. At one point in history, Prester John even rose up and led his armies out of the far east to tackle the nascent Muslim threat spreading through the Arab world and knocking on Europe’s door. Only…yeah, it wasn’t so much Prester John as it was Genghis Khan. Easy mistake to make, I’m sure. Prester John shows up, or rather fails to show up, for several centuries, especially during the Crusades. The story naturally brings to mind a plotline I came across both in Earthman, Go Home and Delusion World in my Ace Double readings. It’s the story of humanity spreading so quickly among the stars that planets get lost or forgotten in the process. Take this trope, sprinkle in some Prester John, and now there’s a space opera spinning around in my head. Rewriting history. Anyone who is looking to write alternate history must first be comfortable with the real history. Largely because not everything will change. But this isn’t even about that aspect of alternate history. This is learning about points in history that I now want to change. Especially in connection with the Nickajack world, asking questions about what is different about this earth not just in the 1860s, but in the 1760s or even 1060s. 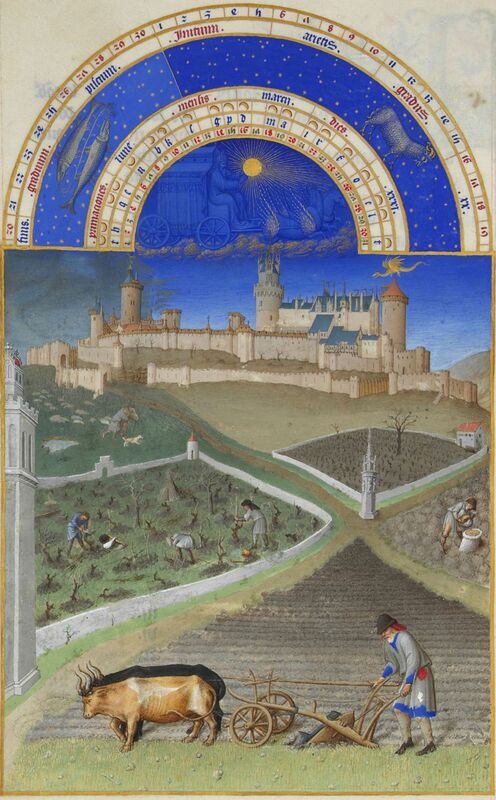 Yeah…maybe I’m thinking about writing a Steampunk story set during the Crusades. 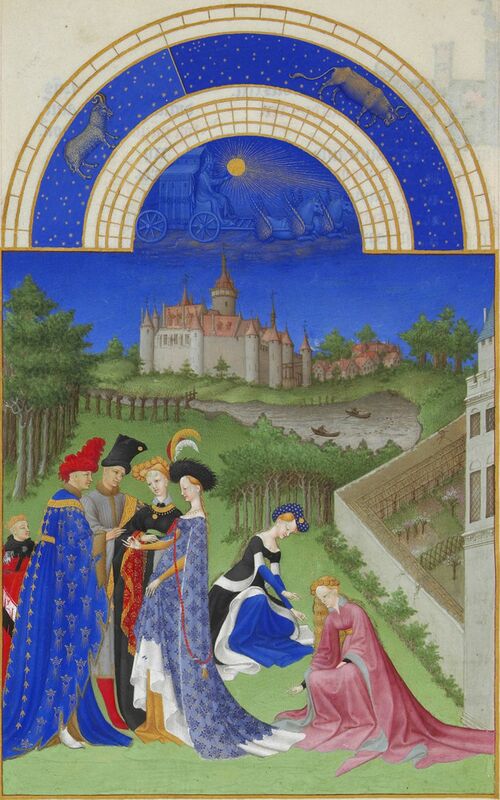 I’m still trying to figure out what the story even is there, but you can bet Baldwin of Boulogne, aka Baldwin I will show up. So get out there, learn a little history. The stories of the past are fantastic fodder for genre fiction, and are sometimes just fun to learn. 2012 Goal: Query Nickajack. We’re at a really good place with the book. We’ve done a restructured outline of the first four chapters (which are now the first six chapters) that reflect some of the character changes we made later in the book, hang a Checkov gun up on the wall, and in general get a lot more done than they were doing. That’s always going to be the danger of the hybrid writing style we were choosing, somewhere between outline and discovery. Yes, we were outlining chapters before writing them, but I started chapter one when we were only about to chapter ten in the outline, and at times the outline got as close as only two chapters ahead. We hit the halfway point of the year at month’s end. Will we be querying by then? I’m not sure. I don’t want to sound pessimistic about the goal, but we do have a month of stepping away as part of our upcoming schedule, so we’ll only have five months left rather than six come the next State of the Writer update. May saw me get started on a novella, expanding a story I wrote last year called The Ghosts of Venus. So far it’s a very comfortable experience. I always wanted to explore the world I made a little more, but never felt like it was enough of a plot idea for a novel. I suppose this is the madness engendered by reading Ace Doubles. My wife is even suggesting that I lengthened the partner piece, Vampires of Mars, and put them together as a DL Double. I have promised the leader of my writers’ group that I’ll at least try to sell the novella length Ghosts traditionally before self publishing. It’s better for everyone that way. As of this morning the rough draft of the novella is a hair away from 10,000 words, and just transitioned from act one to act two. This is right on schedule, since I was overall aiming for 15 roughly 2000 word chapters. Also in May, I sold a short story to the Weird South anthology (reminds me I need to sign the damned contract, sitting on my printer, when I get home) and the Kickstarter for The Memory Eater successfully funded. I’ve been promising an interview with the editor, but I’m waiting until the post Kickstarter work for him dies down a little. However, he does have a paperback proof in his hands, so this is getting closer and closer to real. State of the morning writing. So far, this has turned into a rousing success. Started last Tuesday, I’ve so far only missed one day and have maxed out at just under 500 words. Total over the five days I’ve actually written: 1983 words, split between Nickajack and Ghosts. It’s a great 400 word average that would represent around 100,000 words written if maintained every weekday of the year. It’s amazing how a writing regimen adds up. The challenge will eventually be making sure I have something outlined and ready for 400 additional words. This morning I plunged into a Ghosts chapter that wasn’t yet broken into scenes, which isn’t something I wanted to do. State of the writer’s beer. 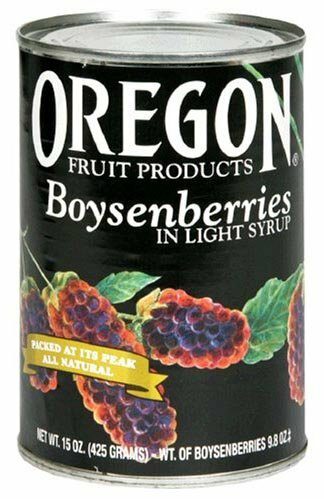 I’m getting ready to brew again, but step one is finding one of my ingredients: Oregon brand canned boysenberries. Their website has a handy list of which grocery stores carry them, which in the Maryland, DC, and Virginia area means only Harris Teeter. According to their site. According to my trips to six different Harris Teeters, including ones where I’ve seen the boysenberries before, not so much. So I’m looking at buying eight cans off Amazon so I can have two cans. This is all to replicate my most successful Mr. Beer recipe, though, so I suspect the rest of the berries will find homes in future batches. It’s about the right time to brew again, as we’ll be back up to two beer drinkers in the house by the time we’re ready to pop the first bottle. Coming up in June. I’d be thrilled if we can get Nickajack to the point of our one months walk away and I can get Ghost of Venus to a completed rough draft. In part because that would mean successful multitasking on my part, something I’ve never really tried as a writer. 21 weekdays this month, so I’m shooting for at least 7000 morning words, which is below my current pace, but I don’t want to push myself too hard to his word count goals in the morning. Tomorrow: My next Ace Double review, as I kick this blog back into action. And it’s not too late to pick my next Double to read. 2012 Goal: Query Nickajack. I’m not going to start with word counts, because that’s not what March accomplished. What March accomplished was the completion of the outline for Nickajack, which is a massive step forward. The entire project took on a different tenor at that moment. It was no longer an amorphous thing, it was now an entire narrative with a known beginning, middle, and end. The actual writing was a little slower because we were finalizing the outline, and because the beekeeping classes I was taking on Tuesdays (more on Wednesday) provided more disruption to my momentum than I expected. I offer this by way of explanation, not excuse. The bulk of my writing happens Monday through Wednesday, and I’m a creature of momentum during that period. Monday gets me back into things, Tuesday I’m going full bore, Wednesday I’m looking for a stopping point in case I can’t get back to the story until the following Monday. 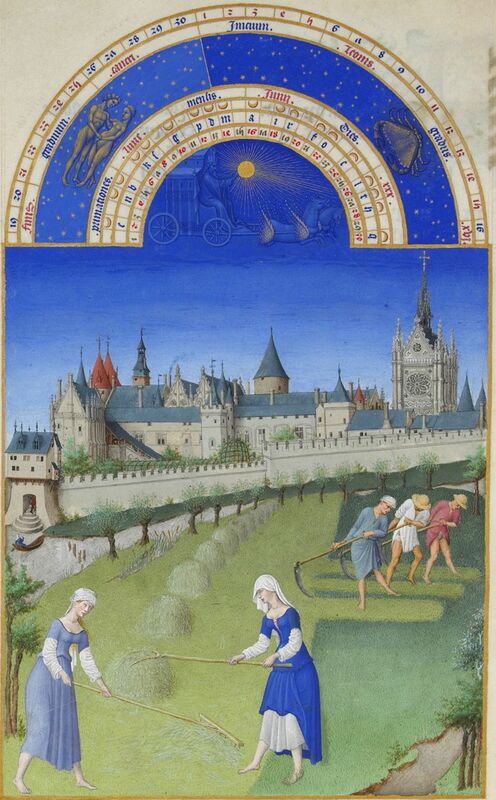 Thursday evenings are devoted to my writing group, and thus are ironically writing-free. I’m willing to do that because I feel like I get more out of the group than I would by not being in one and writing on those days. Friday through Sunday I do what writing I can, but it tends to be more sporadic and dependent on other projects. Right now, there are a lot of “other projects”. Losing Tuesday meant losing one of my best writing days of the week, and really slowing down my writing on Monday and Wednesday as I was always ramping up. I love that I did the classes, don’t get me wrong, but I’ll be glad to get back into my tried-and-true process. So, where does that leave me? It leaves me a chapter and a half into the rough draft of the final act. It also leaves me having said I’m going to finish the rough draft very soon every month this year. So it’s time for a hard deadline. April 18th. That sounds arbitrary, but it gives me three complete Monday through Wednesday cycles, and two weekends, one of which is a four-day weekend for me. That’s going to require close to Nanowrimo pace on those days that I am writing, but my desire to write that last chapter should be motivation enough. More on that later this week on Unleaded. Anthology Updates: First and foremost, The Memory Eater has launched a Kickstarter campaign. I don’t want to bury that lede too much, you’ll see a much longer discussion tomorrow. Okay, much longer blatant pimping. It’s a 40 day campaign, but come on, if you’re interested in supporting, support early so we can rest easier knowing Kickstarter is going to work. This last week also saw my copy of Steam Works arrive in the mail, and the news that I’m shortlisted for another anthology. More news about that if there is, in fact, more news to give. Looking Ahead to April. I’m trying to pick out what my downtime project will be. After the rough draft is finished for Nickajack, we’re building in a cooling down period where we step away before we step back. If I do finished the rough draft by the 18th, that downtime project will start on the 20th. Hopefully by then I have a better notion of what to do next. Ideas include several novels that need outlining, going short story crazy, or even a screenplay outline. Though probably not the latter. 2012 Goal: Query Nickajack. February started with 57k words in the manuscript and ended with 65k words. Yeah, 8000 words over an entire month isn’t the kind of pace I’d hoped for, but that saw the end of Act 2 and then a stop-work order until we can get the entirety of Act 3 outlined. It’s a more holistic approach to outlining than we’ve done in past acts, because the third act is rather more important and we needed to have a strong feel on our end point. Currently we’ve got 11 chapters outlined for the act, it’ll probably top out at 13-15, then we’ll get down into outlining scenes and I can start writing again. I’m seriously chomping at the bit to write the denouement of the book, but that’s my dessert. I must keep in mind the musical question: How can you have any pudding if you don’t eat your meat? Another part of the slow-down was a short story I wanted to throw together for an anthology that closed its doors yesterday. Got the concept two weeks ago, so that meant for a short turnaround. Been awhile since I’ve sent off a short story, and I did so with less trepidation than usual. Not sure if this is confidence in the story or confidence in myself. It does feel better to write an introductory bio that includes actual published real-book credits. Anthology in question promises all responses by the first of April, so by next months State of the Writer I should have news. In my State of the Writer for February I talked about how we were heading into the shortest, coldest month of the year. How’d that work out for everyone? I don’t know if our February here in the DC area was the warmest on record, but it’s certainly the warmest I can remember, even when compared to Februarys spent further south. 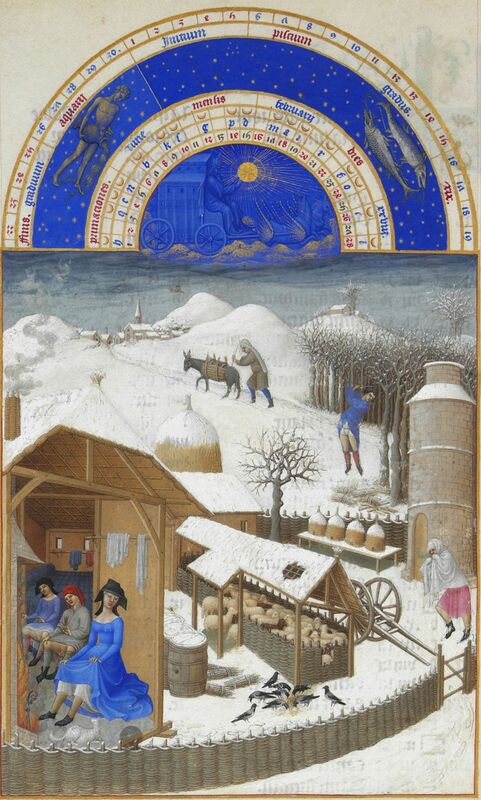 Which, after the last two winters, was a nice change of pace. What wasn’t so nice was all the pollen and mold the warmer weather kept floating through the air and into my nose, leaving me more useless than usual most of the month. That was another part of the slowdown on Nickajack in the first half of February. On my reading goals for the year, I assigned myself to read three Steampunk novels to see what others are doing with long fiction in the genre. I finished up Boneshaker last night, which I have mixed feelings about. This isn’t a book review blog, or I’d go in a little more depth. To keep it short, I thought the book had one too many things going on. Specifically the one thing too many was the zombies. I was interested in the plot about the destruction of Seattle, a boy trying to learn about his father, a mother trying to save her son, and a shadowy figure ruling a lawless wreck of a city. Each of those plots would have had a little more time to shine if the constant threat of zombies wasn’t lurking around like…well, like a pack of zombies. That said, I know they’re working on a movie, and I suspect that a lot of what I wasn’t fond of in the book will actually make it a better movie. Next book on the pile is Spring Heeled Jack, though I might take a break from my assigned reading as I still haven’t gotten to Snuff yet. Looking ahead to March. Outline, outline, outline. Write, write, write. Thus is the life of a novelist. I’m hoping we can get our outline done by the 9th, and if we do I might still get the first draft of Act 3 finished by the end of the month. Probably looking at 25-35k words based on how long chapters have been to date, which will bring the whole first draft in at 90-100k words, perfectly on target. Then we’ll step away for a few weeks. 2012 Goal: Query Nickajack. We’re still in the big first step of the querying process: finishing the damn thing. At the beginning of the month the draft sat at 35,000 words and had moved from act one to act two. Now the draft is at 57,000 words, and we’re just past the two thirds point in that second act. I’ve had months where I’ve written more than 22,000 words, but I don’t think I’ve had a lot of months where I liked what I was writing more. Hopefully when next I’m visiting this goal we’ll be well into the third act with the end in sight. I’m hoping the whole project comes in at 90-100k words, so another 22k word month will have us knocking at that door. It also puts us well on schedule for getting some editing passes done and getting queries prepared perhaps around November or December. Would love earlier, but patience will pay off and we won’t query this a day before it’s ready. On my reading goals for the year, I’ve gotten through my first non-fiction selection, This Republic of Suffering. It was about the attitudes towards death going into the Civil War, and how the conflict changed those attitudes. It was a harsh transition from a period where people could largely die at home surrounded by loved ones, to dying by the thousands on battlefields hundreds of miles from home without any good process for identifying bodies. My new book is Boneshaker which falls into the see-what-other-writers-are-doing category. I’m going to withhold any review until I’ve finished. Though I will say I love the brown printing for the book, though I do see several reviews calling the choice of browns unreadable. That’s the danger of risks like that, I suppose. State of the Blog. I’m not going to do this anymore. State of the Blog, that is, not the blog itself. You’re not getting rid of me that easy. State of the Writer’s Beer. New Peculiar is now on an official hiatus. I’m planning my next brew day to be no sooner than late July, hopefully no later than mid August. Last night we did take our first beekeeping class, however. This is relevant because it’s step one towards Peculiar Mead, which will be homebrewed mead made from homemade honey. I’m drooling over some mead recipes (including on that calls for 6.5 pounds of kiwi in addition to the honey) but the first batch will be a straight up mead with no extra ingredients. Patience will be key, I understand mead needs to mellow for a minimum of a year. I love the federal homebrew laws. I can’t sell any of my homebrew, but as a household of two adults I’m legally allowed to brew far more beer and wine for personal consumption than I actually have the equipment for. And the mead counts towards my wine limit! Ahh, homebrew. Seriously, give it a try, it’s a lot of fun. Looking to February. A short, cold, brutal month. Looking back at my January post I said February was a good target for finishing the first draft of Nickajack, I’m going to say I’m hopeful, but I won’t beat myself up if it doesn’t happen. I do have a few days coming up where it’s just me in the house, which are often good for my production. That…sounds far worse than I intended. The next big collaboration challenge will come up in March: how best to edit the novel together. So far the process has been outline together, I do the rough draft, and she polishes it into a first draft a few chapters behind me. I’m sure we’ll figure something out. Enjoy this slightly longer than usual shortest of months. Be back with regular posts tomorrow, probably with my thoughts about the latest twist in the Barnes vs Amazon feud. See the gentleman to the right? His name is David Mitchell. He’s a British actor and comedian who I’ve become familiar with due to his participation in that most British of television phenomenons, the prime time panel show. Particularly through his involvement as a regulars on QI and a team captain on Would I Lie to you. What can I say, I’m a fan of British comedy, and there’s a lot of these shows that’ll never get broadcast in the US for one reason or another hiding on Youtube. So why do I have a picture of David Mitchell on my blog about writing, and why am I babbling about BBC panel shows? Well, the latter is just because I’m a fan of them and this is my blog after all. The first question is more to the point of this post. 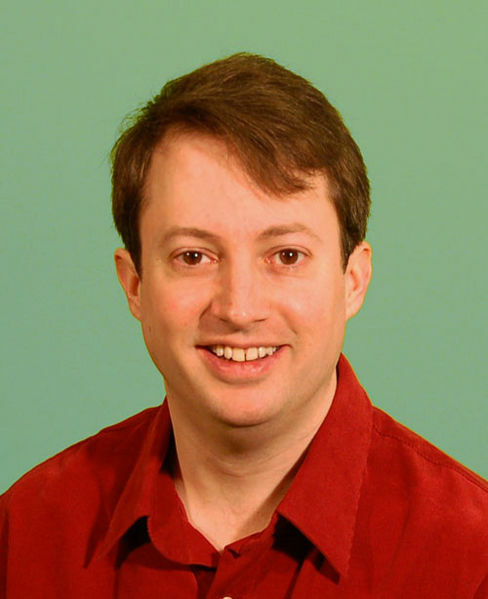 I have a picture of David Mitchell because I realized he’s a character in Nickajack, the novel I’m currently outlining. Oh, not the actual David Mitchell. That would just be silly. But rather the persona that he adopts during the panel shows, the version of himself that he puts out there for the UK and the world to see. His mannerisms, his defensiveness, his delivery, his occasional dismissiveness. Little bits and pieces of that are going to end up floating around the brain of an 1870s mechanical construct named, simply, No. 3. Casting my characters is a trick that I picked up when working on a spec television pilot. It’s probably a natural extension of writing for the screen, but is less obvious in writing for the page. Casting characters allowed me to see them in more depth. Allowed me to impart mannerisms better than just having the characters as raw constructs in my head. Since I’ve started using this trick, I’ve seen and heard of other writers doing the same, often to very positive effect in the writing process. And it’s fantastically cheap and easy to do. As a writer for the page, rather than for the screen, there’s no worry about the budget for actors, no need to worry about availability and scheduling, no need to worry about an actor turning down a role because they simply feel it’s crap. Or that they don’t want to do that kind of story. Or that they’re dead. Or that you’re casting the 30-year old version of a now 78-year old actor (I’ve done this). It’s the kind of casting call that any Hollywood studio would kill to do. You can also conduct horrible experiments, chopping stars up and gluing the pieces back together. Something that would get you quite properly arrested in real life, but will create that much more dynamism in a character. Take the demeanor of one actor, the delivery of another, the cadence of a third, mix them up, add a little of your own flavor, and it’ll come out on the far end unrecognizable as being inspired by a single real-world source. This is not without peril. When writing the pilot, I initially miscast the main character in my head. And just as a poorly cast lead can drag down a movie, this bit of “miscasting” seriously dragged down the narrative of the story. It took backing out of the written draft, recasting the character entirely, and starting nearly from scratch before he became an actual character and not just lines of dialogue floating around the pages. It didn’t matter that the newly “cast” actor would never work television, he had the right presence to inform and build the character. So play around with your characters. Think about who you want them to be. This can be especially helpful for a character who just won’t quite come together. Think of who you imagine playing them, then write around that idea. It’s not going to work for every character in every story, but it has gotten me out of several jams with characters who I otherwise wasn’t quite feeling. Alright, that was fun yesterday, and I’ll probably do that again. Not on any real schedule, but every few weeks or so when inspiration strikes. So then, this is a lot of week. I need a schedule. Today: #5MinuteFiction (everyone come and play! ), then getting my submission to Future Lovecraft finalized and sent out the door. Did the final editing pass yesterday, today is about finalizing format and getting the cover email assembled. Tomorrow: #HumpDayChallenge (everyone come and play again! ), Wednesday Writerly Words, then…gosh, it’s a weird hole in my week. Future Lovecraft will be out the door, my Memory Eater story will still be out for review with my fellow Cat Vacuumers, and my wife will probably be writing like crazy to get two stories out the door by week’s end. So it’ll probably be alternating between Wii Sports Resort and plot noodling on Nickajack. Thursday: Fortnightcap (everyone come and…read! ), hopefully people will indulge me as I go non-fictional this week, a story that I really want to tell but want to do it more narratively, hence doing it there. Then get critiques for Memory Eater. Friday: State of the Writer, and then BALLGAME! Three day weekend: Edits to Memory Eater with any eye to getting it out the door by Monday. Then…Capsule. I know, it’s exciting.